A novice prays in a Buddhist temple in Chiang Mai. According to a recent story in the Guardian, Thailand is the most religious country in the world. I don't know about the validity of surveys like this because people are asked to self identify whether or not they consider themselves religious. But Thailand is an incredibly spiritual place. The unseen is all around you here, whether in big ways like the majestic temples that dot the skyline, or small ways like the discreet offerings left on sidewalks for the spirits (called phi in Thai). 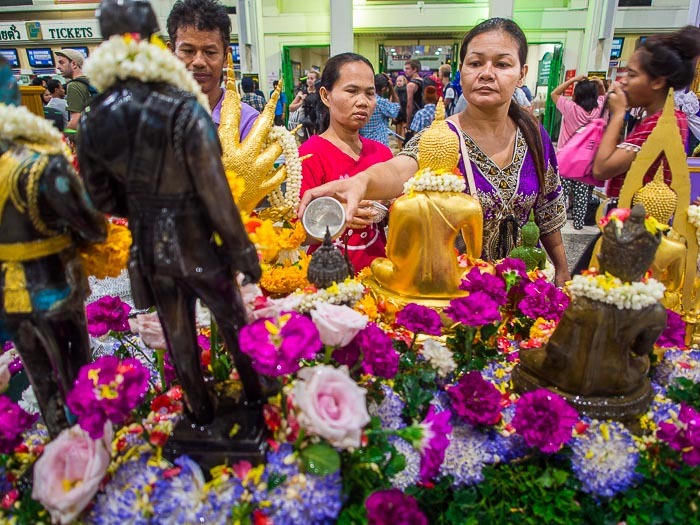 People "make merit" at an alter in Hua Lamphong Train Station. Public buildings and private businesses throughout the country set up alters for people to pray at during religious holidays. 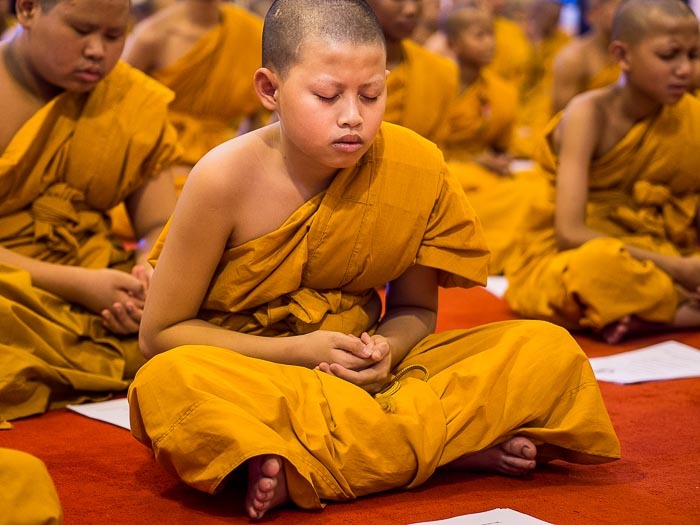 Spirituality in Thailand also encompasses a very diverse world view. Most Thais, probably about 85% of them, are Buddhist. But their Buddhism is tempered with tolerance and even appreciation for other faiths. 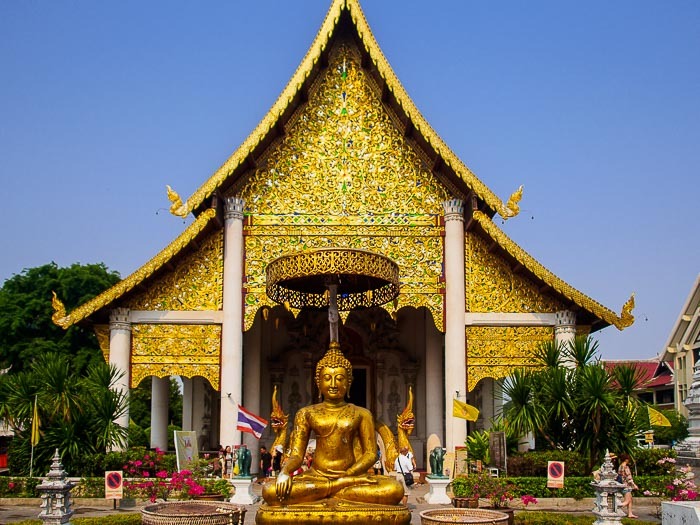 A Thai Buddhist will go to a Buddhist temple to make merit on a Buddhist holy day but may also go to a Hindu temple to honor a Hindu deity or go to a Christian church on a Christian holy day. The "viharn" (prayer hall) at Wat Chedi Luang in Chiang Mai. I've photographed a lot of religion and spirituality in Thailand. It's an incredible mosaic and one I never tire of being around. 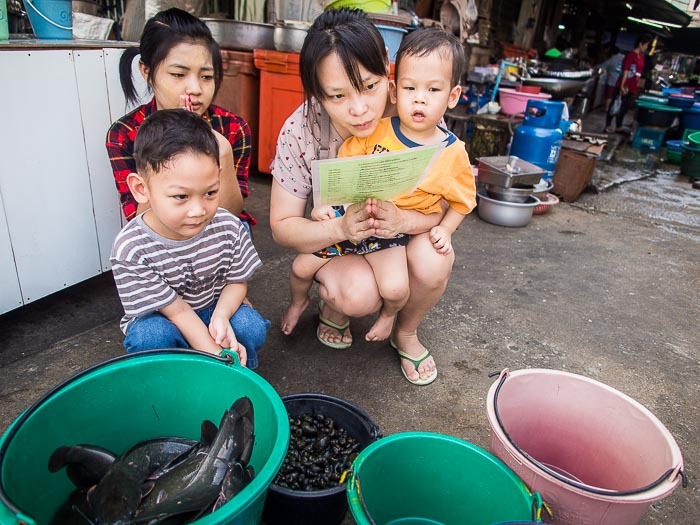 A family prays before releasing an assortment of fish and reptiles into Khlong Bangkok Yai near Talat Phlu. Releasing animals, usually small birds, fish and reptiles, is a popular way of "making merit." 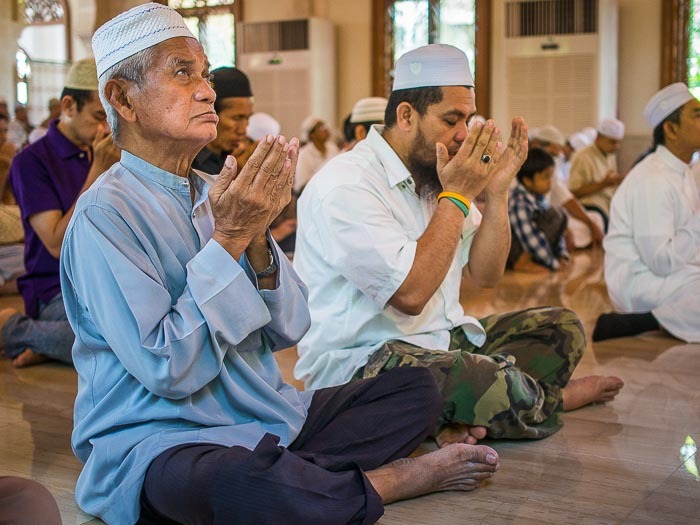 There is a large Muslim community in Thailand. The southern provinces have a Muslim majority and many of the urban areas have a large Muslim minority. There are mosques (called "masjid" in Thai) scattered across Bangkok. There are lots of photos of religion in Thailand in my archive.